Wavo are produced from round-section wire to provide higher loads while maintaining the accurate loading found in wave springs. As an alternative to Belleville Springs, the Wavo Wave Springs provides similar loads but with an accurate, predictable spring rate. Available from stock in 1/2" to 6” diameters. Free samples available. Customs can be manufactured from .157" to 120". Fasteners that change color with strain? What's new from a leader in all things polyurethane? 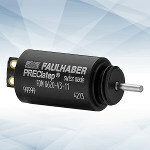 MICROMO presents the FAULHABER FDM 0620 series stepper motor. 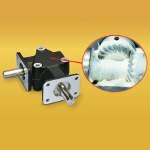 Measuring just 6 mm in diameter and 9.7 mm in length, including all components and connections, and with a 0.25 mNm holding torque rating, the FDM 0620 stepper motor series is compact to fit in the most compact spaces for limitless applications. 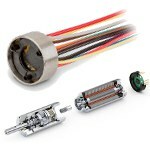 This micro stepper motor is also now available for purchase online. Engineers at NASA's Jet Propulsion Laboratory are designing advanced woven metal fabrics for use in space applications such as large antennas and other deployable devices. But these materials aren't knitted or woven. They're 3D printed in one piece, yet produced with a chain-mail effect, and they've got a secret side to their functionality. 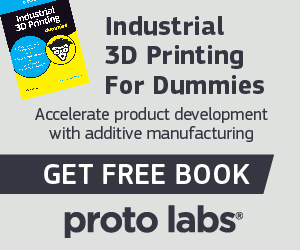 Get your "Industrial 3D Printing for Dummies" book today. FUTEK recently partnered with the Institute for Human and Machine Cognition on their latest exoskeleton to provide paraplegics with gait mobility. These powered exoskeletons use several FUTEK LCB200 load cells, which were installed in the actuators to measure the torque that the actuator applies. Tufts University engineers have created a new format of solids made from silk protein that can be preprogrammed with biological, chemical, or optical functions, such as mechanical components that change color with strain, deliver drugs, or respond to light. Replace messy mist systems and improve dry machining with clean, cold air! EXAIR’s Cold Gun Aircoolant System improves tolerances, tool life and production rates by cooling with 20°F air. The Cold Gun is ideal for tool sharpening, drill and cutter grinding, milling, band sawing, more. Audi is writing a new chapter in its lightweight design success story. For the next generation of the Audi A8, an intelligent mix of four materials is being used for the first time in the weight-bearing body structure -- more materials than in any of the brand’s previous production models. KHK USA takes you on a journey through the history and applications of gears in two information-packed free volumes called "The ABCs of Gears." Part A is aimed at beginners, while part B moves on to intermediate fare, such as types of gears and tooth forms, heat treatment, surface treatment, production methods, etc. Another mid-level text called "Introduction to Gears" and an in-depth "Gear Technical Reference" are also available, chock full of materials information and calculation examples and tables. Best of all, there is no registration for any of these valuable no-cost PDF resources. A picture may truly be worth 1,000 words to Soldiers who lose GPS while on patrol. The Army Materiel Command’s Communications-Electronics Research, Development and Engineering Center, or CERDEC, is using miniature cameras to create vision-aided navigation capabilities in GPS-denied situations. Motion drive and control technologies are advancing rapidly, giving engineers access to an expanding spectrum of options to leverage previously unattainable performance and form factors. Read article to learn more. Watch how a piezo ratchet motor works. Lifetime lubrication in Zero-Max “Crown” gear drives assures motion system designers of a smooth-operating, quiet right-angle gear drive. These drives are designed for economical transfer of speed or power. Lubricated for life with Beacon 325 premium grade grease, Zero-Max Crown drives feature heat-treated AGMA Class 10 spiral bevel gears. This combination of bearing design and lubrication formulation ensures long-term, maintenance-free operation for demanding industrial applications. The drives feature precision hardened and ground ball bearings with non-magnetic steel shafts for handling speeds up to 2,000 rpm in most operating environments. The LORD Sensing 3DM-CV5 family of industrial-grade board-level inertial sensors provides a wide range of triaxial inertial measurements and computed attitude and navigation solutions. Applications include vehicle health and usage monitoring, precision agriculture, platform stabilization, and artificial horizon. Compared with similar sensors in its class, the 3DM-CV5 offers optimal performance in a small, lightweight package, and it includes direct measurement of acceleration and angular rate. It employs LORD Sensing’s microelectromechanical systems (MEMS) elements that provide accurate measurements in a small and lightweight package. 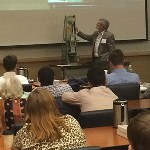 Registration has opened for the Metal Powder Industries Federation's Basic Powder Metallurgy (PM) Short Course to be held Aug. 14-16, 2017, at Penn Stater Conference Center Hotel, State College, PA. The Basic PM Short Course is an essential educational tool if you or your company's employees are new to PM, need an update of recent industry developments, look to broaden or enhance background knowledge, and/or seek to enhance advancement opportunities. Learn about designing for PM parts, tooling for PM, sintering, how microstructures affect parts, superalloys, achieving 100% density, additive manufacturing/3D printing, and so much more. maxon motor’s NEW ENX EASY is a steam-sterilizable encoder for use with maxon’s brushless DC motors and planetary gearheads. It opens up an entire new range of possibilities in medical technology, and its compact and robust design is ideal for power tools. It is available in an incremental (1,024 counts) and absolute version (4,096 steps), both designed for 1,000 autoclave cycles. The encoder can be integrated into the ECX 13 and ECX 16 SPEED brushless drives (up to 120,000 rpm and 104 W) to make a fully sterilizable positioning system. 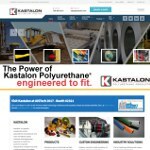 Kastalon, a long-time leader in polyurethane products, announces the rollout of its new website. The new site offers a look at the company’s extensive lines of standard products, including rollers, pads, bumpers, and sleeves for various uses in materials handling, metals producing and processing, as well as myriad other market applications. It details the custom material formulation and production capabilities of Kastalon, as the company has built a reputation for problem-solving solutions since its inception in 1963. Also included are a number of engineering tools that allow prospective customers to detail their requirements for prompt quotes. Check out the new website. 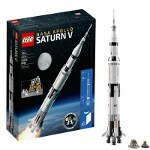 Coming to an inner child near you in June: Make history with the LEGO NASA Apollo Saturn V, the first rocket to put people on the Moon! With 1,969 pieces total, build the 3 stages of this stunning meter-high rocket and display it on the stand or launch it into orbit. Offload the S-IC and S-II sections, dock the lunar lander with the command service module, and complete a successful Moon landing mission! Read all about the new set. You know you want one! Electric motor technologies in aircraft are making steady development progress -- and setting records along the way. Case in point is the Extra 330LE aerobatic plane, powered by a propulsion system from Siemens, which set several records recently. Weighing just 110 lb, the system supplies a constant electric output of 260 kW -- five times more than comparable propulsion systems. It features a unique weight-to-performance ratio of 5 kW/kg. Research chemists at the U.S. Naval Research Laboratory have developed and patented a transparent thermoplastic elastomer armor to reduce weight, inherent in most bullet-resistant glass, while maintaining superior ballistic properties. The material is a standout not only for its transparency but also because it enables damaged armor surfaces to be repaired "on the fly" in the field. From a distance, the drop of a mock nuclear weapon -- containing only non-nuclear components -- was a mere puff of dust rising from a dry lake bed at Nevada's Tonopah Test Range. However, it marked the start of a new series of test flights vital to the nation's B61-12 weapon refurbishment program. In collaboration with the Self Assembly Lab at MIT, Steelcase has unveiled a new method of 3D printing called "rapid liquid printing." Especially for a furniture and interior design company like Steelcase, this technique offers a process that competes with the speed, size, and materials available to existing 3D-printing methods. By using 3D printing, Steelcase hopes to unlock the potential of truly personalized interior design. Weird but cool concept. Matt Chambers, founder and CEO of Confederate Motors, talks about the impact that 3D Systems' Quickparts rapid parts and prototypes service has on his design-and-build business. With the exception of some engine components, wiring, wheels, tires, and lighting, 3D Systems makes every part of the super-boss P51 Combat Fighter motorcycle, saving a tremendous amount of time and hassle for Confederate Motors by being able to consolidate part production with one primary vendor.